The Awesome S65 AMG was debuted at the Detroit Auto Show. 0-60 in 4.2 seconds. Details next month. We have an S550 in stock (before the car has been released) for test-driving and demonstration purposes. YouÕre welcome to come by and see/taste/fondle/drive it. An appointment would be appreciated. IÕm learning it bit by bit. ItÕs a really neat car, big, powerful (0-60 in 5.4 seconds), very comfortable, and very high tech. Fortunately, probably learning from BMWÕs error with i-Drive, the high tech features in this car are easily controlled. If the first i-Drive was a DOS computer, the Mercedes system is a Mac with the latest upgrades. Where BMW revels in complexity and difficulty of operation so the people who figure it out can feel superior. (ÒI just bought the ultimate driving machine! I must be the ultimate driver! What did I just hit?Ó) Mercedes seems to have seriously tried to make a myriad of features simple to operate in this car. Navigation, for example, is voice controlled. or it can be controlled with the ÒmouseÓ on the console. For those of us who are accent challenged, most of the commands are just numbers. YouÕre given a list, and you choose one. You do need to be able to spell words like Texas and Westheimer. á COMAND System with AM/FM/ WD/CD Player (available with SAT Radio only If -listed as optional Equipment). á Full Leather Upholstery and Hand-Polished-Wood Trim. á 14-speaker, 600 Watt harman/ kardon -LOGIC7¨ Surround Sound System. á Interior Ambient Lighting Feature. á Power Rear Window Sunblind. Pre-wiring is not available. A factory phone kit is offered in various P1/P2 Packages. The factory installs the complete phone system, while Dealer installs choice of Cradles or Bluetooth-Adaptors. If package that includes the phone is not selected when the phone is ordered from the factory the phone cannot be retrofitted—vehicle will not have the necessary wiring. THIS IS A MAJOR CHANGE. Prewire offered only in option packages. Stand alone option not available. Factory phone kit not available. Provided vehicle has been ordered with option package that includes Òprewire,Ó the customer can order a Òdealer installedÓ phone and choice of cradles or Bluetooth Adaptors. If vehicle does not have option package with prewire, the phone canÕt be retrofitted. As most of you know. I wish that we werenÕt involved in the phone business at all. I believe the concept of the ÒCar PhoneÓ is obsolete. People wear their phones now, and the addition of a $79 Bluetooth earpiece makes it voice activated and hands free. Most have speakerphone capability. Having to plug the phone into the car to have those capabilities is a thing of the past. Additionally the phone companies are trying to make your phone obsolete every 2 years. Our cars will last 100 years. This means your phone will be obsolete very quickly. In the past itÕs not always been possible to update the phone system to the current requirements. At least a Bluetooth adapter will allow you to use the current phone of choice – until they replace Bluetooth with Purplegum or whatever comes next. But there is one major reason to have a car phone, Infrared filtering windshields. The S550 has that as standard equipment, and it comes with some packages on MLs and Rs. Your hand-held phoneÕs antenna wonÕt work very well inside those cars. Additionally, of course, you canÕt charge the phone unless itÕs plugged in. A Bluetooth adapter will be available for 2007s, and thatÕll work fine for cars without Infra-red filtering windshields. The most common question IÕm getting these days is, ÒIs it Bluetooth?Ó When I say no, the conversation ends, and the prospective customer goes looking at other brands. Since some of those brands use the same windshields we do, I suspect thatÕs why theyÕre having Bluetooth reception problems. Starting in the fall of Ô04 we started getting the new breed of Mercedes, the ones with the new, 4-valve, 4-cam, variable valve timing low emission engines, and the ones designed and built to stop corroding the three-pointed star with poor quality control. SLK350—came out fall Ô04 and sold like gangbusters. It still is. IÕve never seen one here for anything but routine service. Additionally the styling, handling, ride, and acceleration are superior to the previous, very successful SLK. The car magazines called the previous one a ladyÕs car, and now they give men permission to buy this one. I, for one, wasnÕt fazed by the ÒladyÕs carÓ title. Women buy a lot of cars, and men wanting women bought a lot of SLKs. SLK55 AMG—men afraid of being accused of driving a ÒladyÕs carÓ should try this one, joining a well-balanced group of owners who have discovered this thing is REALLY fast, and nothing seems to break. Like all AMG vehicles it can idle in heavy traffic on a hot day and not even notice it. E350—Then spring of Ô05 the Ô06 E350 came out, faster than its predecessor with similar fuel economy, it almost obsoleted the E500. The V-6 has 268 hp. The V-8 has 302. A lot more buyers opted for the 350. If there were any problems with the car theyÕve stayed below my radar. SLK280—came out as an Ô06. ItÕs misnamed. It has a 3.0 liter, 228 hp engine and goes 0-60 in 6.1 seconds. Men walk past it, sure their wives have to have the big engine. ItÕs underrated and underpriced. ItÕs not slow. C230, C280, C350—If there was anything wrong with the C-Class, adding power sure fixed it. Now no one can look down at the C230 and say, ÒItÕs a four cylinder, isnÕt it?Ó with the expression that youÕre smelling something foul. The old ÒKompressorÓ engine was great, low maintenance and high fuel mileage and 189 hp. The new 2.5-liter engine has 200 hp and good mileage and less maintenance. The C280 replaces the C240 and gains a bunch of horsepower, more than last yearÕs C320. 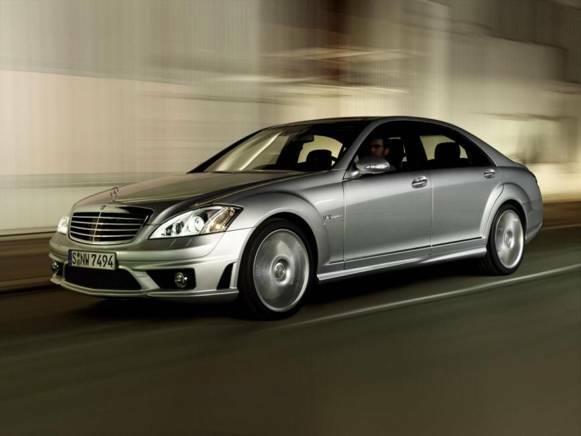 The C350 makes a very fast C-Class, with 268 hp. Were I driving a car instead of an ML, I would want a C350 Sport model with the rare 6-speed stick shift. CLK350—This did the same for the CLK that it did for the C, more power! Power is good. Absolute power is better. ML350 and 500—came out in the spring of Ô05 as Ô06s. A few had the wrong hose clamp installed at the factory, but it was well handled. We sent a flatbed to the ownerÕs home or business, brought the truck here, fixed it, and took it back, and Mercedes paid for it. If you say, ÒGee, isnÕt that the way all warranty service should be handled?Ó IÕll say, when IÕm king of Mercedes-Benz it will be. But IÕm not, and I wonÕt be. Since then the MLs just go out and donÕt come back until the dash reminds you that your year or 13,000 miles is almost up. I have had zero complaints from buyers. (Non-buyers complain about the lack of seats. They want 7. When the GL gets here, theyÕll want 9). CLS500 and 55 AMG—when this car came out women came in and bought it for its looks alone. The used car department became adept at getting good bids for Jaguar trade ins. Men bought it in droves, too. A E500 or E55 AMG under the skin, the bugs were ironed out in 2003, so they just work. I love it. IÕve never faded less heat from angry customers. But sales are slowly climbing. The R500s are selling as well as the R350s. The demographics are such that people who buy it usually want it loaded. Grandparents and parents who waited to have children are the prime buyers. Now weÕre awaiting the new S-Class, the new GL-Class, and the replacement of 500 engines with the new 550 engines. Cars that now have 302 horsepower will have 382 for the 2007 model year, and theyÕll be cleaner to boot. WeÕre also eagerly awaiting the new breed of V-6 diesels that meet draconian new regulations coming into play January 1, 2007. With luck weÕll have 50 state E320 diesels, ML320 diesels, and R320 diesels. If only they would pay us to sell them again, the future would be bright for sales people as it is for customers and MBUSA. 2. The ones that display the actual tire pressures are sometimes overly sensitive. 3. They should be ÒsetÓ when the tires are cold. 4. If you get a failure message that a tire is low, the first thing you should do is take the tire pressure gauge from the glove box and check that tire. If itÕs actually low, the monitor is not malfunctioning. 5. If you set the tires to 32 all around and calibrated the monitor for that and leave the car in the sun, the sun side tires will be a pound or more higher than the other side. The monitor is not malfunctioning. 6. They wonÕt substitute for proper tire maintenance. Owner tire maintenance includes visually checking all 4 tires every time you get fuel, and checking tire pressures with a gauge once a month. 7. Tires lose 1 lb. a month, even Michelins. Put more in. 8. Tires set in July will be several pounds low in December because of air temperature and density changes and leakage. Learn the rules so you may break them properly. á Your speeches are replayed on Al-Jazeera over and over. á You disparage the military during a time of war. á Osama bin Laden quotes you. á You think hazing of prisoners at Abu Grave is torture, but beheading innocents is not. Now thereÕs a word I never wanted connected to my name, but as this is written IÕm awaiting on minor neurosurgery. TheyÕre either going to repair a herniated disk or do a brain transplant, IÕm not sure. I may never again have much sympathy for a customer who is complaining that weÕre not fixing his car fast enough. ItÕs taken me 5 months, and the problem wasnÕt properly diagnosed until early January. It took several days to see my 5th choice in neurologists, another week to get test results, and then several more days to see the neurosurgeon, then another week to schedule the surgery. ItÕs a simple operation on my spine, no big deal, any intern could probably do it, so I donÕt know why IÕm being picky. ItÕs not like itÕs neurosurgery—Oh, wait. Actually it IS like itÕs neurosurgery. The surgery is planned for Thursday, January 26, and I should be back at work the following Monday. So if you get a message on the voice mail saying IÕm out for a few days, IÕm not in Las Vegas with a luscious Redhead or off at a shooting match. I probably wonÕt be able to work the Houston Auto Show. ItÕll break my heart, but IÕll manage not to cry too much. I donÕt know about you, but thereÕs something wrong with my shaving mirror. It seems to be okay, but I see the same guy IÕve seen for all my adult life, the guy who was always too young for the job he was given, the guy who did a lot of dangerous things (very carefully), the guy who loved beautiful women and captured the best of the bunch, the one whose parents thought I wasnÕt good enough for her, (and they were right), the guy who always felt over his head in most things and eager to learn from people who had been there, done that. I donÕt know why I see him. Intellectually I know heÕs no longer there. I donÕt look like that anymore. I saw myself on TV last week, Cowboys, on The Outdoor Channel, and those $100,000 HDTV cameras captured the real, current me. I wondered who the hell that old, grey haired guy was that they got to play Captain Baylor. 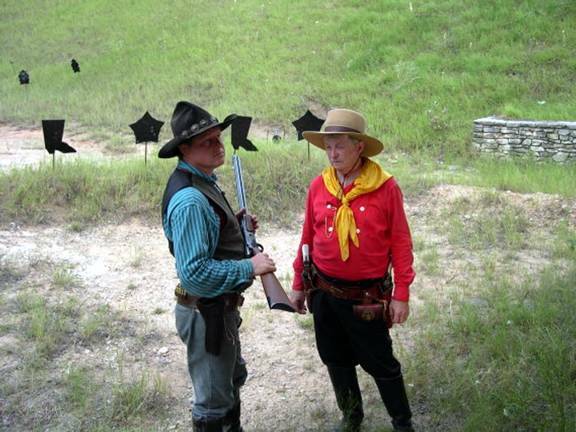 I distinctly remember playing Captain Baylor myself, and that old guy is even wearing my clothes and shooting my Colts. But he doesnÕt sound like me. He has an older, more distinguished voice than mine, which, of course, is more Donald Duck than Orson Wells. Either the soundman is a genius, or the actor who dubbed it is fantastic. I donÕt know where the other me went. I suppose heÕs on the other side of that hill, the one IÕve obviously been over for a while but didnÕt know it. 1. When your cat tells you to keep the Redhead, listen to her. 2. The secret to a happy marriage is to give the beautiful wife everything she wants. 3. A Colt .45 beats 4 aces. 4. ItÕs useless to step on the brakes when your car is upside down. 5. Dogs and cats are pretty good judges of character, but sometimes they can be fooled by someone with a chunk of meat in his hand. 6. Liberals seem to want to take everyoneÕs gun except the ones used by their bodyguards. 7. All tax breaks are for the rich. The rich are, of course, those who pay taxes instead of living off them. 8. Friends help you move. Real friends help you move bodies. 10. Women and cats pretty much do as they please. Men and dogs better get used to it. They say 60 is the new 40. While I would feel better if it were the new 30, IÕm just grateful that medical science and technology have progressed to the point that a guy who didnÕt take any better care of himself in his twenties can still be alive, kicking, and happy at 60. Speaking of Cowboys, The show is on The Outdoor Channel, not The Outdoor Life Network. ItÕs in its third year and is quite successful. The episode I was on is TeachinÕ Ôem Right, and it showed in January. ItÕll show again later this year. But, so far, nearly all of the episodes have been really good. Some of it is about Cowboy Action Shooting, but they did an episode on The Winchester Mystery House and one on the singing group ÒRiders in the SkyÓ among other western subjects. Episodes have been varied and always interesting. The host is an old friend of mine, Richard ÒTequilaÓ Young, a 5 times World Champion at Cowboy Action Shooting. He comes across as an exceptionally personable guy, which is pretty much the real Tequila. 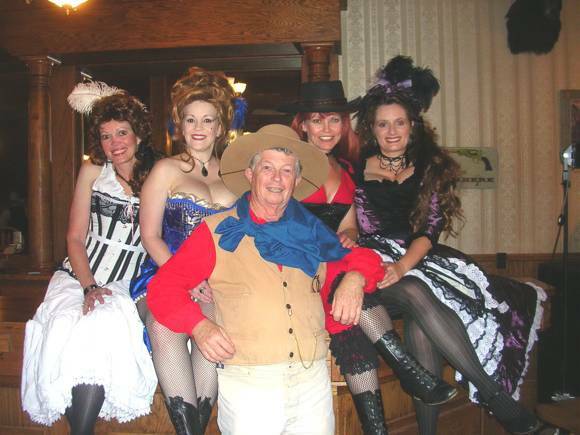 The show won the SASS Wooly Award for the best western-themed TV show for 2005.
by Major General (Ret.) David R. Bockel, Director of Army Affairs, Reserve Officers Association. 2,709,918 Americans served in uniform in Vietnam Vietnam Veterans represented 9.7% of their generation. 240 men were awarded the Medal of Honor during the Vietnam War The first man to die in Vietnam was James Davis, in 1958. He was with the 509th Radio Research Station. Davis Station in Saigon was named for him. Vietnam veteransÕ personal income exceeds that of our non-veteran age group by more than 18 percent. As of the current Census taken during August, 2000, the surviving U.S. Vietnam Veteran population estimate is: 1,002,511. This is hard to believe, losing nearly 711,000 between Ô95 and Ô00. ThatÕs 390 per day. Fact: Mortality studies show that 9,000 is a better estimate. The CDC Vietnam Experience Study Mortality Assessment showed that during the first 5 years after discharge, deaths from suicide were 1.7 times more likely among Vietnam veterans than non-Vietnam veterans. After that initial post-service period, Vietnam veterans were no more likely to die from suicide than non-Vietnam veterans. In fact, after the 5-year post-service period, the rate of suicides is less in the Vietnam veteransÕ group. Fact: 86% of the men who died in Vietnam were Caucasians, 12.5% were black, 1.2% were other races. Sociologists Charles C. Moskos and John Sibley Butler, in their recently published book "All That We Can Be," said they analyzed the claim that blacks were used like cannon fodder during Vietnam "and can report definitely that this charge is untrue. Black fatalities amounted to 12 percent of all Americans killed in Southeast Asia - a figure proportional to the number of blacks in the U.S. population at the time and slightly lower than the proportion of blacks in the Army at the close of the war." Here are statistics from the Combat Area Casualty File (CACF) as of November 1993. The CACF is the basis for the Vietnam Veterans Memorial (The Wall): Average age of 58,148 killed in Vietnam was 23.11 years. Fact: The domino theory was accurate. The ASEAN (Association of Southeast Asian Nations) countries, Philippines, Indonesia, Malaysia, Singapore and Thailand stayed free of Communism because of the U.S. commitment to Vietnam. The Indonesians threw the Soviets out in 1966 because of AmericaÕs commitment in Vietnam. Without that commitment, Communism would have swept all the way to the Malacca Straits that is south of Singapore and of great strategic importance to the free world. If you ask people who live in these countries that won the war in Vietnam, they have a different opinion from the American news media. The Vietnam War was the turning point for Communism. from the napalm strike near Trang Bang on 8 June 1972.....shown a million times on American television....was burned by Americans bombing Trang Bang. (Americans) had nothing to do with controlling VNAF," according to Lieutenant General (Ret) James F. Hollingsworth, the Commanding General of TRAC at that time. Also, it has been incorrectly reported that two of Kim PhucÕs brothers were killed in this incident. They were KimÕs cousins not her brothers. How could we lose a war we had already stopped fighting? We fought to an agreed stalemate. The peace settlement was signed in Paris on 27 January 1973. It called for release of all U.S. prisoners, withdrawal of U.S. forces, limitation of both sidesÕ forces inside South Vietnam and a commitment to peaceful reunification. The 140,000 evacuees in April 1975 during the fall of Saigon consisted almost entirely of civilians and Vietnamese military, NOT American military running for their lives. There were almost twice as many casualties in Southeast Asia (primarily Cambodia) the first two years after the fall of Saigon in 1975 then there were during the ten years the U.S. was involved in Vietnam. Thanks for the perceived loss and the countless assassinations and torture visited upon Vietnamese, Laotians, and Cambodians goes mainly to the American media and their undying support-by-misrepresentation of the anti-War movement in the United States.